Lubor On Tech: Welcome to the Internet of Things, Farewell Big Data! Welcome to the Internet of Things, Farewell Big Data! Industry trends can be quite fickle. Sometimes, it is hard to explain when and why they quickly gain momentum and then, all of a sudden, they fade away just as fast. Last year at this time, the media was going all ga-ga about Big Data. Now, a couple of months into 2014, the Big Data buzz appears to be fading. It’s not gone, but certainly tired. But don’t worry, another buzz quickly took the pole position. The new red-hot trend of 2014 is called the Internet of Things. The term is actually not that new. It was first coined by Kevin Ashton, the father of RFID, back in 2009. The idea behind the Internet of Things is that increasingly, all our devices, appliances, gadgets, cars, meters, and sensors will be connected to the Internet - offering new ways of control and a tremendous wealth of data to optimize our lives. The term “The Internet of Things” initially received little attention outside a small circle of thought leaders. The mainstream media didn’t discovered it until this January when it became a big topic at the annual CES show in Las Vegas and then, out of the blue, mighty Google decided to purchase Nest for an eye-popping $3.2 billion! There is hardly a better example of an Internet-connected device today than the Nest thermostat. Nest is a tremendously interesting company. I bought their smart thermostat about six months ago and I love the ability to remotely turn up the heat in our house when returning from a trip. Of course Google’s interest in Nest is not so much for my comfort as it is the data Nest collects today and might possibly collect in the future. For example, Nest knows not only how much energy I use on heating my house, it also knows whether I’m home or not. That information has value for advertisers! That issue is increasingly the source of an intense debate. On the coattails of the still recent NSA spying scandal, the Internet of Things is perceived as a new threat to our security and privacy. As if it wasn’t enough that the NSA collects data about what I do online, now even my appliances will tell the NSA what I do at home, in my car, and in my office. And if the NSA can get to it, so can the hackers and other bad actors. Not an encouraging thought, really. Yet as usual, the new technology promises a tremendous advance in our lifestyle and productivity which seems to always trump consumer security and privacy concerns. The Internet of Things is coming and we can expect that before we know it, we will be surrounded by smart devices connected to the Internet. These devices will generate a lot of data which will be potentially very useful for predicting everything from product demand to energy shortages. Interestingly, this is exactly what Big Data was originally supposed to be about, before the term was hijacked to mean just about everything. As we are weaning ourselves off of Big Data, the Big Data idea lives on in the form of the Internet of Things. The king is dead… Long live the King! it may be a bit extreme, but you can buy an egg box from Quirky that measures and reports to your phone the number and age of the eggs so you can know when at the grocery the status of your eggs. Interesting...kinda quirky! At least this may be an Internet-connected 'thing' that doesn't raise too many privacy problems. Unless...wait...he eats too many eggs --> must have high cholesterol --> higher insurance premium! you nailed it. I think one other trend which is a little ironic is using the data from all these devices to "humanize" brands (see my blog www.jameslatham.com) for a start on this trend which is initially B2C but quickly moving to B2B. There was a very interesting story on 60 Minutes last night about all the analytics that now happen when you visit sites, your web surfing, search histories, etc. The bottom line, is companies are now as much in the business of selling your analytics to others as they are in providing services. A tremendous revenue stream for some of them. The internet of things really opens this up to an entire new level and I think you touch on that in your blog post. The Internet of things is going mainstream fast: Whirlpool (and LG, Samsung) are going smart with normal household appliances. The "6th sense" washing machine is out already, with some (nice to have) convenience benefits and probably an appeal to a geek audience. The actual value comes when leveraging the power of the network to tap into new partnerships and services, e.g. connecting to utilities companies to help balance peek loads. I think we are only scratching the surface and will see amazing innovations once we are beyond smart phone notifications & control features. 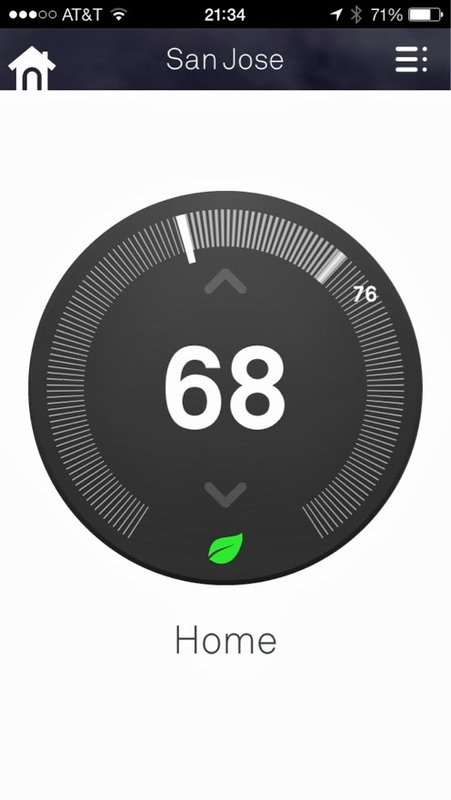 Nest has already demonstrated first integrations for demand response with utilities - more to come!